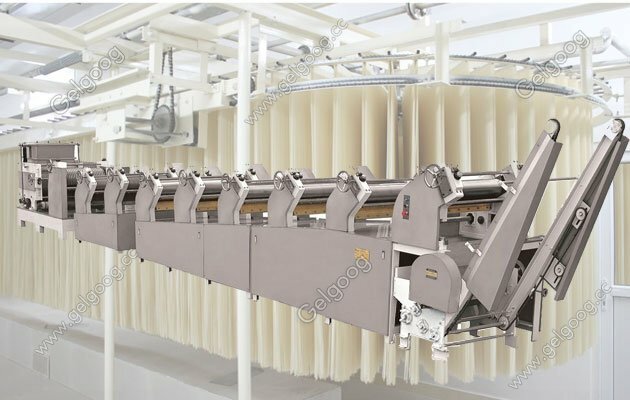 The Stick Hanging Noodle Production Line take latest technology developed which can work out high quality stick noodles in in any weather conditions, low temperature drying line. 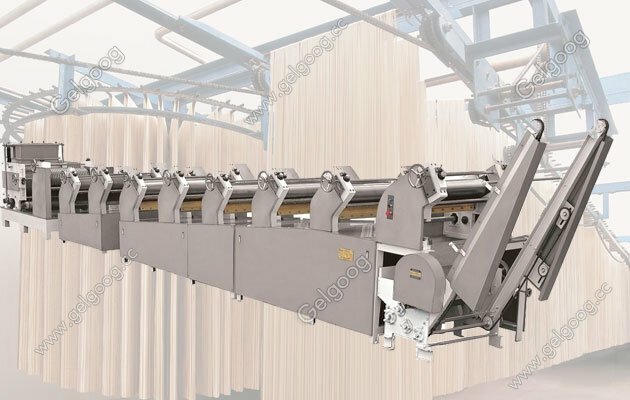 Stick Hanging Noodle Production Line Low Temperature Dried The Stick Hanging Noodle Production Line take latest technology developed which can work out high quality stick noodles in in any weather conditions, low temperature drying line. One, flour mixing system. 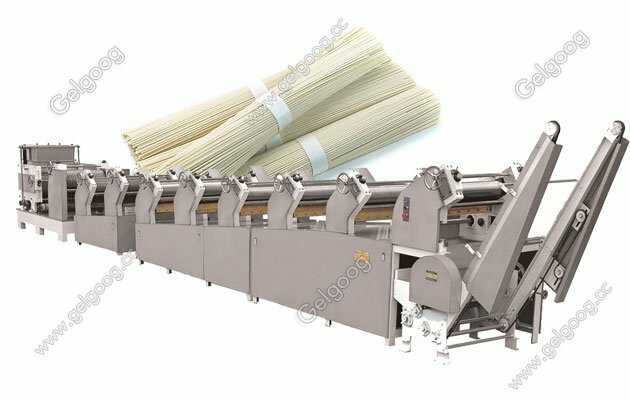 It is the first working procedure noodle production, the purpose is to add right amount of water in flour and other accessories, agitate the protein in wheat flour water absorption expansion, with toughness, elasticity, viscosity. The device has a single shaft mixer machine, biaxial mixer machine. Two, dough rolling, cutting system. Curing machine, compound machine, rolling machine, cutting machine, rod supplying machine, hanging machine six part together complete noodle forming stage. And good curing after 10 minutes, stirring of grains to make fully absorbing water, puffing formed wet gluten and made into composite rolling machine, press dough sheet to 0.8-0.2 mm. 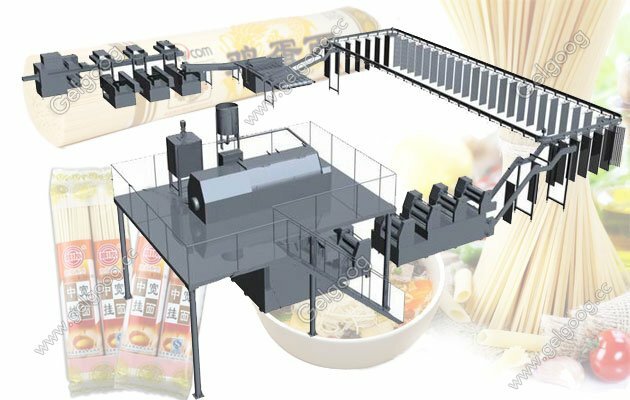 Through cutting knife, according to the different specifications of wet noodles cut into 0.8 to 3 mm, rod supplying machine put 2400-2600 - mm long noodles by hanging machine up to parallel chain stores. Three, automatic shelves end tail cut tidy device consists of hanging, trim noodle ends, cut, control cabinet. Noodles hung on steel bar are lifted to starting point of drying room, using integrated circuit control. Synchronously hung on hanger of mobile drying device, end cutting machine costume on the starting point in the process of drying, cut down the noodle end for recycling use at any time, due to cut into a certain length in advance before entering drying process, greatly reduced cracker dough head. Five, putting-down production system. This system consists of the putting-down parts, finished product tidy machine, cutting machine, control cabinet and so on, after 4 to 5 hours to dry.